SafeMark® Anti-Glare disposable face shields have a hypoallergenic foam head seal that helps to absorb sweat and to keep viral or bacterial contaminants away from entering the mucus membranes. 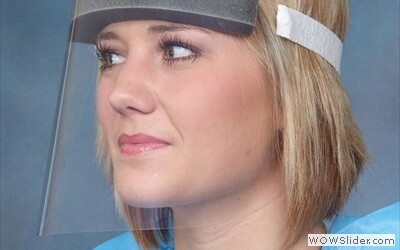 SafeMark® Anti-Glare disposable face shields come with the Comfort Stretch headband for ease in donning. 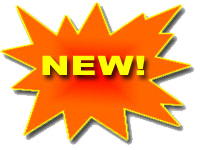 The shields are also available with a Hook and Loop strap for a more custom fit. SafeMark® Anti-Glare disposable face shields conforms to OSHA’s regulation 29 CFR Part 1910.1030 for eye and face protection against bloodborne pathogens. 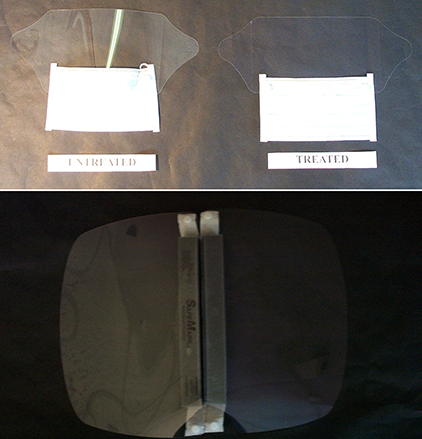 SafeMark® Anti-Glare disposable face shields are available in your choice of dispenser boxes or bulk pack.